A sellout crowd of 6,607 fans at Casino Arizona Field saw Phoenix Rising FC battle back three times to earn a point in a 3-3 draw with New Mexico United, while fellow Western Conference sides Portland, Fresno and Sacramento picked up their first wins of the season away from home on Saturday night. 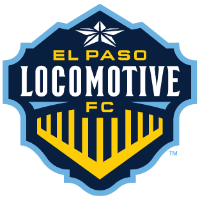 Elsewhere, Eastern Conference sides North Carolina FC, Saint Louis FC and the Tampa Bay Rowdies continued their winning ways and expansion sides El Paso Locomotive FC, Loudoun United FC and Memphis 901 FC earned draws to secure their first points in club history. 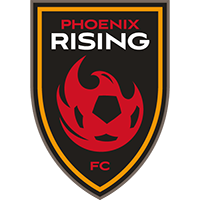 PHOENIX – Rising FC battled back three times for the second straight week to earn a draw against New Mexico United at Casino Arizona Field. Santi Moar scored a stunning goal to give the visitors the lead in the 16th minute as the Spaniard curled a right-footed shot from the left side of the penalty area past Carl Woszczynski and into the top-right corner. Solomon Asante put Rising FC back on level terms in the 29th minute with a penalty kick, but Kevaughn Frater found the back of the net against his former club 71 seconds later to restore New Mexico’s advantage with a stunning left-footed drive from 25 yards out. Referee Alejandro Mariscal awarded Phoenix a second penalty three minutes after halftime and Asante kept his cool once again, sending NMU goalkeeper Cody Mizell the wrong way and converting into the bottom-left corner. Moar bagged his brace in the 55th minute with another stunning strike, carrying the ball within shooting range before firing a low drive inside Woszczynski’s near post. Like last week, Phoenix wasn’t going to be denied a point and again it was Jason Johnson who turned up with a header to ensure the sides split the spoils in the inaugural game of the Four Corners Cup. 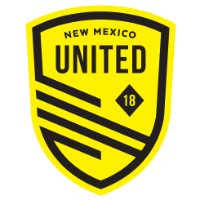 Santi Moar, New Mexico United – Moar completed 85 percent of his passes, recorded four shots on target and scored two stunning goals to help New Mexico pick up a point against the 2018 Western Conference champions. IRVINE, Calif. – Roughnecks FC scored five consecutive goals over 35 minutes of play to stun Orange County. The hosts got off to a strong start in the 13th minute when captain Kevin Alston slid in at the near post to direct Darwin Jones’ cross past Tulsa goalkeeper Sean Lewis. Aodhan Quinn doubled OCSC’s advantage from the penalty spot in the 45th minute but Cristhian Altamirano replied for Tulsa with a penalty kick of his own late in first-half stoppage time. Janú Silva capitalized on an error from OCSC goalkeeper Carlos Lopez to equalize in the 54th minute, before the Roughnecks broke things open with three goals in a 10-minute span. Defender Luca Lobo scored a quick-fire brace on a pair of set pieces, tapping home his own rebound from a free kick and heading in a corner, before substitute Fabián Bastidas scored on a breakaway to put things out of reach. Giovanni Ramos Godoy found the back of the net with a beautiful curling strike from 20 yards out in second-half stoppage time, but it was merely consolation for the home side as Tulsa battled back for all three points. 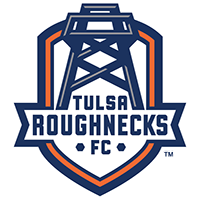 Luca Lobo, Tulsa Roughnecks FC – Lobo won 8 of 12 duels, made four clearances and contributed on the offensive end with a pair of goals, including the game-winner, in Tulsa’s comeback victory. TACOMA, Wash. – A brace from Augustine Williams led the LA Galaxy II to a convincing victory over the Tacoma Defiance. Williams got things started in the 24th minute when Ernesto Walker miscued a shot that ended up being the perfect assist for Williams to redirect past Tacoma goalkeeper Trey Muse. Walker made no such mistake four minutes before halftime when he picked up a loose ball near the center of the penalty area and fired past Muse from the right side of the six-yard box. Los Dos secured all three points in the 60th minute when left back Diedie Traore played an inch-perfect long ball onto the head of Williams, who cushioned a lofted header over Muse at the back post. Augustine Williams, LA Galaxy II – Williams completed 83 percent of his passes and scored twice to lead the Galaxy II to victory in Tacoma. 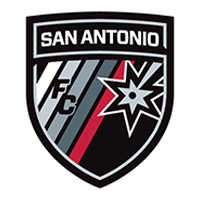 SAN ANTONIO – Marvin Loría’s brace led the Timbers 2 to a convincing road victory over San Antonio FC. Todd Wharton got the visitors on the board first as he latched onto Foster Langsdorf’s pass and rounded SAFC goalkeeper Matt Cardone before passing the ball into the empty net. Jack Barmby levelled the score from the penalty spot in the 28th minute but Portland retook the lead just four minutes later as Loría fired a shot off Cardone, who was hustling back into position after coming out to deny a fast break opportunity. Loría ensured that all three points would go home with the visitors in the 78th minute, driving a low, left-footed effort past Cardone at his near post. 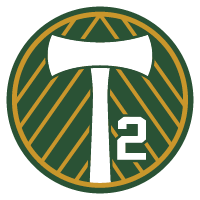 Marvin Loría, Portland Timbers 2 – Loría found the back of the net with both of his shots on target to help Portland pick up all three points in San Antonio. 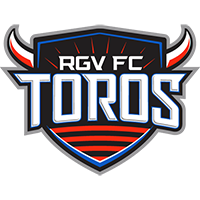 EDINBURG, Texas – A brace from Arun Basuljevic carried Fresno FC to a road victory over RGVFC. The midfielder got his side off to a flying start in the second minute of play when he took Jackson’s layoff and fired a low, right-footed drive past Nicolas Corti. Basuljevic got his brace on the hour mark when he settled Juan Pablo Caffa’s chipped through pass on the right edge of the six-yard box and beat Corti with a tight-angle strike that bounced in off the post. Maalique Foster had a chance to cut the deficit in half from the penalty spot in the 67th minute and sent CJ Cochran the wrong way but the forward struck the post with his shot, summing up the night for RGVFC. 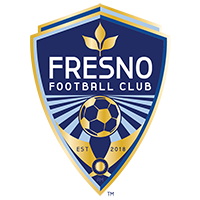 Arun Basuljevic, Fresno FC – Basuljevic completed 91 percent of his passes and converted both of his two shots into goals to help Fresno pick up its first win of the season. OKLAHOMA CITY – Omar Gordon’s 78th-minute goal helped Energy FC continue its winning start against Lights FC. Deshorn Brown continued his fantastic goalscoring form when he gave the side the lead in the 13th minute, taking Alexy Bosetti’s headed pass and firing a right-footed effort past Las Vegas goalkeeper Thomas Olsen. Javan Torre levelled the scoring 13 minutes after halftime when he powered Pablo Cruz’s corner kick into the top-left corner of Cody Laurendi’s goal. However, the home side grabbed all three points late on as Cordell Cato fed a nifty pass to Gordon, who tucked the ball into the corner past an onrushing Olsen. Omar Gordon, OKC Energy FC – Gordon won 5 of 10 duels, made two key passes and scored the game-winning goal to keep Energy FC’s winning start going. 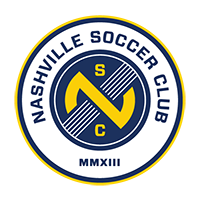 NASHVILLE, Tenn. – For the second straight week, Saint Louis FC snatched a late victory as Caleb Calvert’s 84th-minute goal was enough to defeat Nashville SC. Calvert nearly headed the visitors into the lead in the 37th minute but NSC goalkeeper Matt Pickens produced an acrobatic, fingertip stop to push the effort wide of the post. STLFC goalkeeper Jake Fenlason responded to his opposite number with 10 minutes to play, getting just enough of Matt LaGrassa’s header to tip it over the crossbar. With six minutes left on the clock, Calvert rose highest to head home Joaquin Rivas’ corner kick, ensuring Anthony Pulis’ side defeated top opposition on consecutive weeks to start the season. 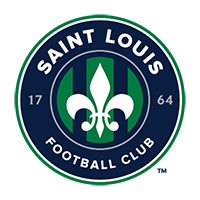 Caleb Calvert, Saint Louis FC – Calvert proved to be an aerial threat throughout the match and nodded home the game-winning goal to give his side a key road victory. 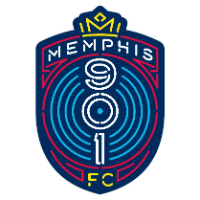 MEMPHIS, Tenn. – In the first meeting between two 2019 expansion clubs, Memphis 901 FC battled back to earn a draw against Loudoun United FC at AutoZone Park. The visitors opened the scoring on the half-hour mark when Griffin Yow saw his right-footed shot take a deflection and loop over Memphis goalkeeper Jeff Caldwell, who could only watch helplessly as the ball bounced into the bottom-right corner of the net. 901 FC answered with their own inaugural goal as Elliot Collier took Junior Sandoval’s pass and created a yard of space for himself before firing a left-footed shot through Loudoun goalkeeper Calle Brown to earn his side a point. Elliot Collier, Memphis 901 FC – Collier scored the first goal in Memphis 901 FC history to earn the side its first point in league play. 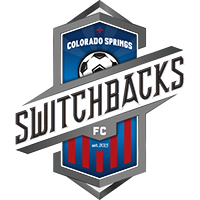 COLORADO SPRINGS, Colo. – Cameron Iwasa’s second-half penalty was enough for Republic FC to pick up its first win of the season at Switchbacks FC. The visitors were gifted the golden chance to open the scoring in the 57th minute after Colorado Springs midfielder Jamal Jack was adjudged to have fouled Sacramento’s Sam Werner in the penalty area. Iwasa stepped up and kept his cool from the spot, sending goalkeeper Clint Irwin the wrong way as he slotted the ball into the bottom-left corner. Werner nearly doubled the advantage four minutes later as his cross from the left flank floated over Irwin and struck the post before rebounding back into play. 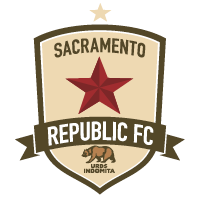 Sacramento wouldn’t need it though as some resolute defending from Mitchell Taintor in the game’s late stages helped Republic FC hold onto all three points. Cameron Iwasa, Sacramento Republic FC – Iwasa made no mistake from the penalty spot to secure the win for the visitors. BIRMINGHAM, Ala. – Carl Haworth’s first-half strike was enough to ensure Fury FC picked up its first win of the season in Birmingham. Ottawa’s captain led by example in the 16th minute of play when he flashed a left-footed drive past Legion FC goalkeeper Matt Van Oekel at his near post. 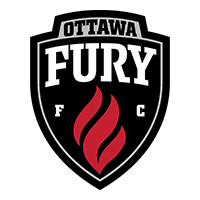 That proved to be all the offense that the visitors would need as Fury FC goalkeeper David Monsalve made a handful of saves and defender Thomas Meilleur-Giguere produced a stunning goal-line clearance to secure all three points. Thomas Meilleur-Giguere, Ottawa Fury FC – Meilleur-Giguere was heroic at the back for Fury FC, recording 11 clearances and three interceptions to help keep a clean sheet. 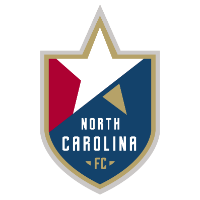 CHESTER, Pa. – North Carolina FC and Head Coach Dave Sarachan continued their winning start to the season as Marios Lomis scored the only goal in the side’s victory at Steel FC. Lomis had a golden opportunity to open the scoring in first-half stoppage time from the penalty spot, but Steel FC goalkeeper Carlos Miguel Coronel pulled off a stunning double-save to keep the match level heading into the break. However, Lomis made amends for his penalty blunder in the 51st minute when Steven Miller lifted a pass over the top of the Bethlehem back line and the forward struck a sweet first-time volley across Coronel into the left corner. Thomas McCabe, North Carolina FC – McCabe completed nearly 92 percent of his passes in the middle of the park to help NCFC continue its winning start to the season. 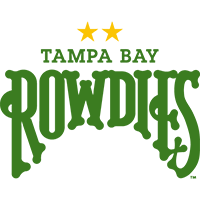 ST. PETERSBURG, Fla. – The Rowdies continued their winning ways in their home opener with an impressive victory over Pittsburgh. 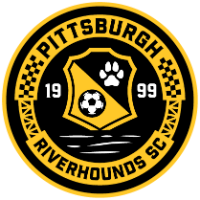 The Hounds had a chance to open the scoring from a set piece in the 19th minute, but Jordan Dover’s header from the side of the penalty area struck the top of John McCarthy’s crossbar and bounced over. Tampa Bay took the lead from a corner kick of their own seven minutes later as Hounds goalkeeper Kyle Morton failed to claim Zach Steinberger’s delivery and Shawn Berry struck the loose ball into the left corner of the net. Barry helped the Rowdies wrap up all three points four minutes from time as he dribbled past a pair of Pittsburgh defenders and squared the ball to Steinberger, who directed a one-touch finish past Morton to send the home crowd happy. Shawn Berry, Tampa Bay Rowdies – Berry played a big part in Tampa Bay’s attack from his wingback role, scoring the game-winner and setting up Steinberger for the home side’s second. 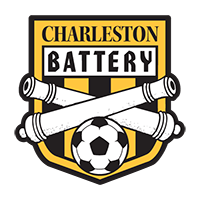 CHARLESTON, S.C. – The Battery kept its unbeaten start to the season alive with a home victory over Hartford Athletic. Midfielder Zeiko Lewis got the hosts off to the perfect start in the 17th minute when he played a lovely give-and-go with Romario Piggott before volleying the return pass into the bottom-left corner of Jacob Lissek’s net. Charleston should have doubled its advantage just before the break when Lewis fed a pass to Ian Svantesson, but the forward blasted over from close range. However, Dante Marini secured that two-goal cushion for the Battery with 17 minutes to play as followed up Svantesson’s initial effort to tap home a rebound. 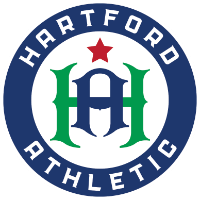 Philip Rasmussen gave the Athletic a lifeline with seven minutes to play as he converted from the penalty spot for Hartford’s first goal in its history, but it wasn’t enough as the side slumped to its second straight defeat. Zeiko Lewis, Charleston Battery – Lewis was dangerous in attack all night long, registering four key passes and scoring a nice opening goal. 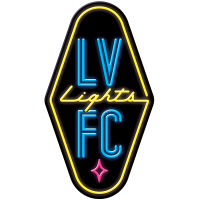 RENO, Nev. – A second-half brace from Brian Brown saw 1868 FC come from behind to beat Bold FC. 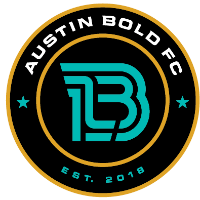 Kléber put Austin on the board first in the 14th minute when the Brazilian fired a right-footed shot past Matt Bersano into the bottom-left corner for the first goal in club history. 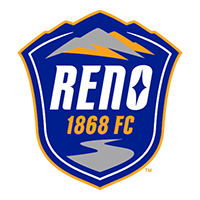 Reno responded moments after halftime as Brown latched onto Raul Mendiola’s through ball and slotted a shot past Austin goalkeeper Diego Restrepo. Bold FC nearly regained the lead four minutes later when Calum Mallace’s shot was deflected onto the crossbar, but it was Brown who broke the tie when he headed Brent Richards’ cross past an onrushing Bersano in the 77th minute to seal victory for the home side. Brian Brown, Reno 1868 FC – Brown found the back of the net twice in the second half to give 1868 FC its first win of the season. 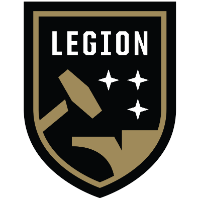 HERRIMAN, Utah – After going down to ten men in the first half, the Monarchs held on for a scoreless draw against Locomotive FC at Zions Bank Stadium. Maikel Chang came close to opening the scoring for the home side in the 27th minute when he drove a left-footed free kick off the post from 25 yards out. The Monarchs were reduced to 10 men just five minutes later when defender Kalen Ryden was given his marching orders after shoving Derek Gebhard in the back with the Locomotive midfielder clean through on goal. The visitors dominated possession from there on out but failed to carve out many clear-cut chances. Josh Castellanos tested Monarchs goalkeeper David Ochoa with a curling strike seven minutes from time and Bryam Rebellón saw his stoppage-time header pushed beyond the post as the sides shared the spoils. 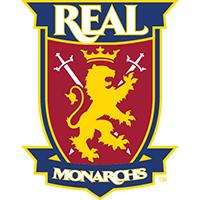 David Ochoa, Real Monarchs SLC – Ochoa made nine saves, including a spectacular diving effort to deny Josh Castellanos late on, to earn his first shutout of the season.